As part of this year's Child Advocacy Day, Missouri KIDS COUNT® released the annual county rankings of child well-being. The county rankings this year are based on six indicators – poverty, food insecurity, preventable hospitalizations, child asthma ER visits, births to teens, and graduation rates. Several hundred child advocates attended the release event on April 6, 2017 in Jefferson City. Pictured above: Child care advocates representing Missouri's 20 community partnerships under the direction of the Family and Community Trust (FACT). •Poverty generally is declining, but poverty density is increasing. More children are living in high poverty areas in Missouri, more children are homeless, and more children are uninsured. •Births to teens, graduation rates and teen unintentional injuries are improving. •Hospitalizations for children ages 1-19 have increased for both mental/behavioral and substance abuse diagnoses. •Race Disparities – teen birth rates for Black/African American teens was 1.5 times that of Whites; child asthma ER rates for Black/African American children is more than 8 times that for Whites; the preventable hospitalizations and low birth weight rates for Blacks/African Americans are more than twice as high as for Whites. 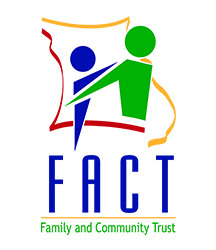 FACT is a nonprofit organization serving as the Annie E. Casey sponsored KIDS COUNT® organization in Missouri. 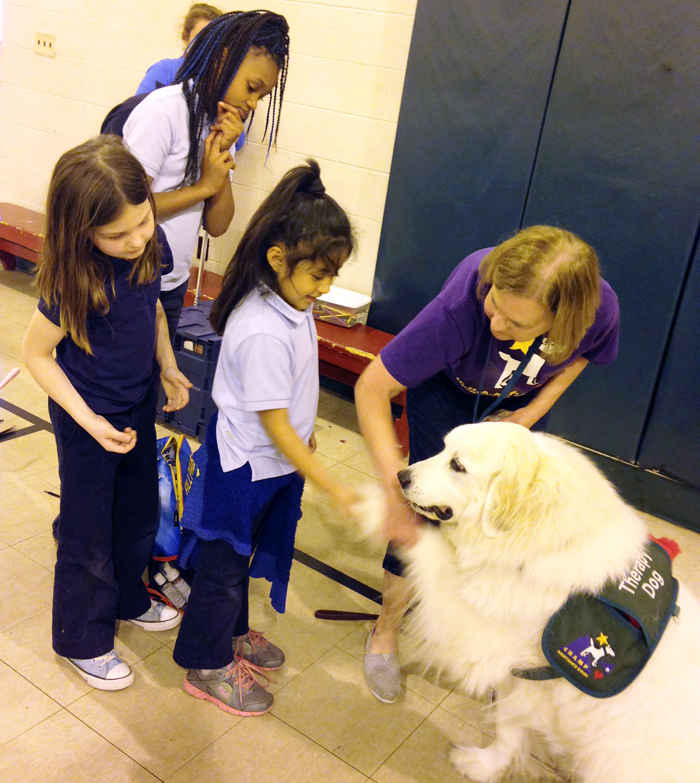 ARCHS serves as FACT’s KIDS COUNT® representative in the St. Louis region. 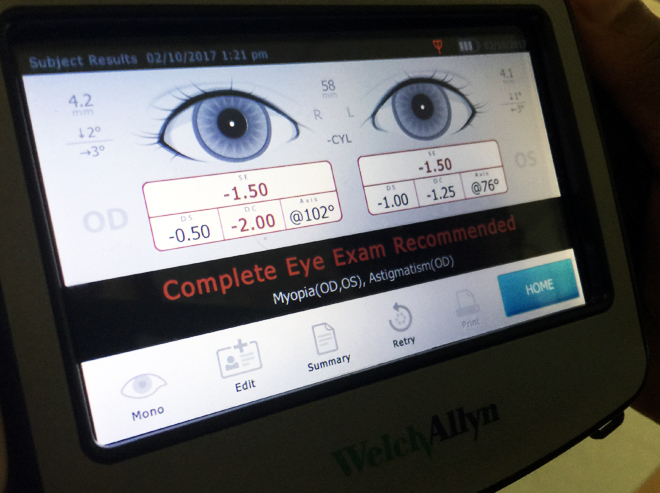 In March 2017, ARCHS was prominently featured in a six page case study by Social Solutions. 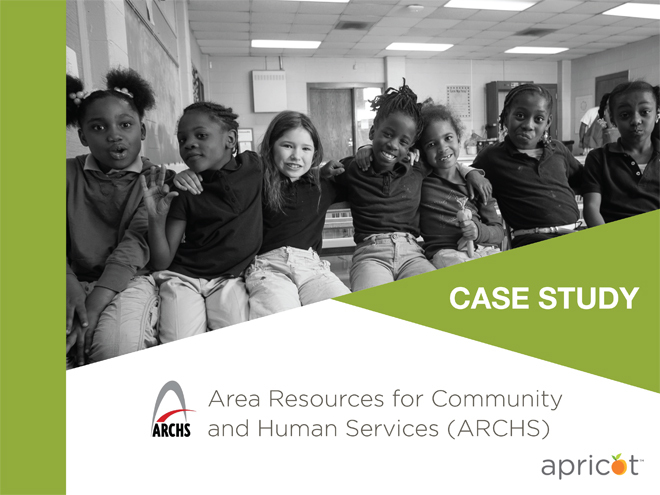 The profile highlights ARCHS' innovative use of Social Solutions’ Apricot Software™ to enhance ARCHS' outcomes management strategy for the 35 organizations and programs that ARCHS funds and supports. 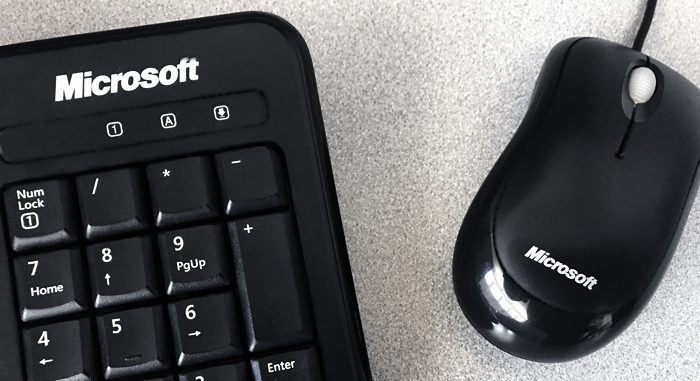 ARCHS’ staff uses Apricot Software™ on a daily basis to keep track of more than 3,000 program dashboard data points at 380 community locations.